This Machine Prints Images On Your Coffee! If meal boxes can charge your phone these days, why not have a coffee with your “mug” on it? That’s exactly what this San Francisco based company is doing with its revolutionary product, the Ripple Maker. The Ripple Maker embellishes your coffee by *printing* any image or text on frothed milk. “It is a professional device that restaurants, hotels and coffee shops would own. Consumers can download the Ripple app and send the content from their phone to machines but it isn’t something they would be able to buy.”, says the company behind the machine. The Ripple Maker is part of the platform that includes the machine, the website and an app using which the customer can order a print on their coffee. The app comes preloaded with a gallery of images and texts that can chosen by the customer, along with letting them creating their own. The Ripple Maker starts at $1299 ( Rs. 87,000) and is available only in the US, Canada and China at the moment, though the company says that it’s soon going to ship worldwide. With an attached app and WiFi, the Ripple Maker is yet another startup in the burgeoning IoT sector. 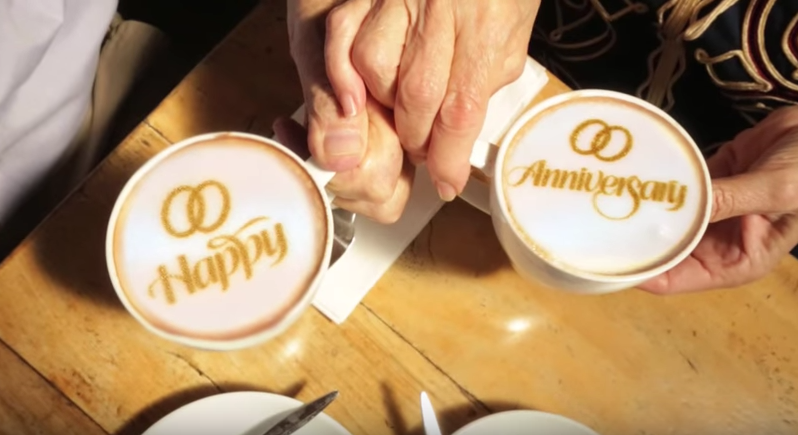 The company beta tested the product by letting 6 restaurants use it for week, and the results resulted in people ordering anything from a “Happy Anniversary” text to having their photos, or even their favourite celebrities as their morning cuppa. Currently, the machine is installed at the ongoing Wimbledon series in the UK where fans are enjoying a cuppa with the photos of their favourite tennis stars. If the Ripple Maker catches on, just having your name scribbled on your coffee mug might soon be passé.